Odysseus and Menelaos Research Papers compare and contrast these two mythological heroes. 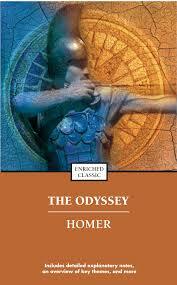 It is very interesting to contrast the stories of two mythological heroes such as Odysseus and Menelaos. In a general sense, the stories of each of these men typify the world of Greek mythology. They are both men who struggle to achieve their goals in a world influenced by meddling gods and goddesses. In some cases, the gods work against them. In some cases, the gods work for them. In other cases, they manage to win-out on their own with a little help from the gods. Either way, each of these men demonstrates the balance between personal skill and the will of the gods- a delicate balance that influenced the lives of many mythological characters. If there is a difference between Odysseus and Menelaos, it comes in the sense that Odysseus is the more heroic of the two. Thus, his achievements are more grandiose and his adventures more memorable. Furthermore, the personal courage, skill, and cunning of Odysseus are always apparent. Although Menelaos does show some indication of skill as well, he is hardly the heroic character that Odysseus is. This is seen in comparing both the adventures and the domestic lives of Menelaos and Odysseus. Indeed, an important point of contrast between the two men can be seen in their domestic lives. After receiving the hand of the beautiful Helen of Troy, Menelaos is happily married for a number of years. Nevertheless, we never get the impression that Helen is overwhelmingly in love with her husband. Indeed, when Paris arrives to woo her while Menelaos is away, Helen becomes a fairly easy target. Although Paris is an irresistible man, and has the gods on his side, we never get the impression that Helen is particularly loyal to her husband. The implication is that she is somewhat bored both in her marriage to Menelaos and her life in Sparta. As such, she is ripe to be taken off to Troy by the dashing Paris. Thus, Menelaos’ wife has been disloyal to him, taken by another man. The domestic life of Odysseus differs in the sense that, whereas Helen is disloyal, Penelope is faithful. Indeed, this is the defining quality of her character. She is an intensely loyal and dedicated wife who resists her would-be suitors with all of her strength, cunning, and energy. In this case, she is virtually the exact opposite of Helen. While both Odysseus and Menelaos face the same basic situation in that they are forced to travel abroad and leave their wives in charge of the homefront, the outcome for each man is different. For Menelaos, his return to Sparta is filled with the shock and embarrassment of finding that his wife has left him. Paper Masters writes custom research papers on Odysseus and Menelaos and compare and contrast these two mythological heroes.